WATCH: Vinicius Junior scores free-kick - then sees red! 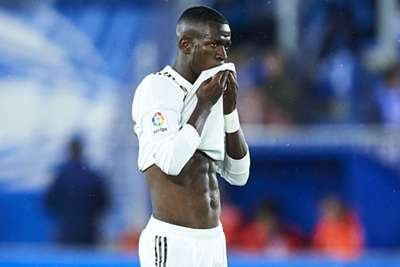 Vinicius Junior scored a wonderful free-kick for Real Madrid Castilla before being sent off in his side's Segunda B clash with Celta Vigo B. The Madrid prodigy stepped up late in Sunday's encounter to curl an exquisite strike over the wall and into the top-left corner to make it 1-1.